In 1992 wrestling fans thought they'd finally get the WrestleMania dream match of a lifetime, Hulk Hogan vs. Ric Flair. Flair had just won the WWF Championship at the Royal Rumble and all signs were pointing to Hogan and Flair at WrestleMania VIII. However, the plug was pulled on the idea and we got Flair against Randy Savage and Hogan faced Sid. With this blog, I'm rewriting history and starting with WrestleMania II. 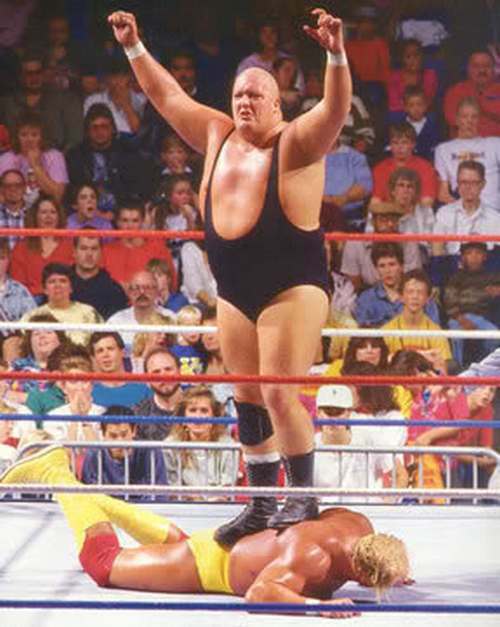 Sorry King Kong Bundy, I'm putting in Ric Flair. To get there, we have to start at Starrcade 1985. You may recall Dusty Rhodes pinned Flair for the NWA World Heavyweight Championship that night. But the decision was later reversed and the belt went back to Flair. However, for this story, Dusty keeps the belt and Flair leaves for the WWF. On Saturday Night's Main Event in February 1986, Hogan defends the championship against Bundy (instead of Don Muraco). During the course of the match, manager Bobby Heenan gets flustered and waves feverishly toward the back. Flair, in a spectacular robe, emerges through the curtain much to the shock of the fans. He hits the ring and chop blocks Hogan's knee. The referee calls for the bell and Flair and Bundy proceed with the attack. Bundy launches an Avalanche as Flair slaps on the Figure Four Leg Lock. Hogan is helpless as Heenan's henchmen continue to torture the champ. Andre the Giant eventually makes it to the ring to save Hogan, setting up a staredown with Bundy. 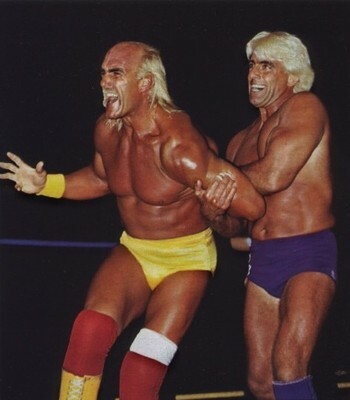 Hogan later challenges Flair to a match at WrestleMania (not inside the big blue cage). "Nature Boy" and his manager, Heenan, accept and the two collide in the main event of the second installment of WrestleMania. 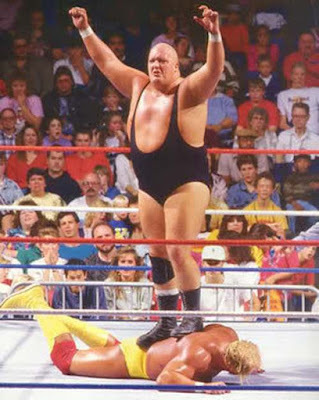 Hulkamania was, of course, running wild at the time so Hogan retains in the first showdown with Flair... Bundy goes into the WWF/NFL Battle Royal to keep the feud with Andre going. As for the rest of Flair's run, I don't know, I'm only doing the Mania match. 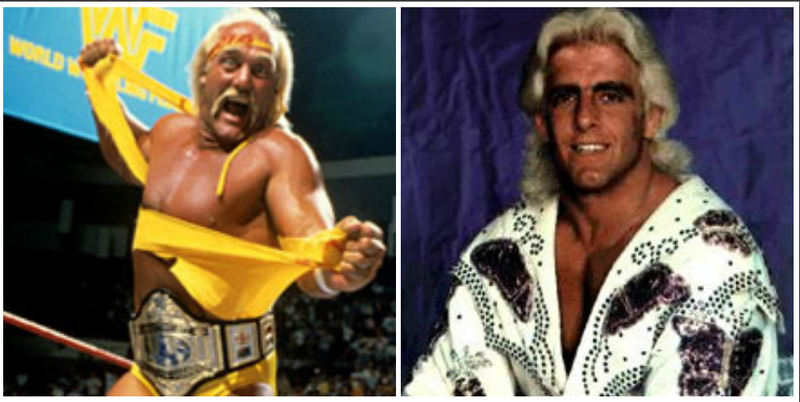 I know by bringing Ric Flair in at that time changes a lot of history for both WWF and NWA. In 1986 it's fair to say both Hogan and Flair were at the top of their respective games. The match would have been more appealing compared to five and a half years later when the two started meeting on the house show circuit.